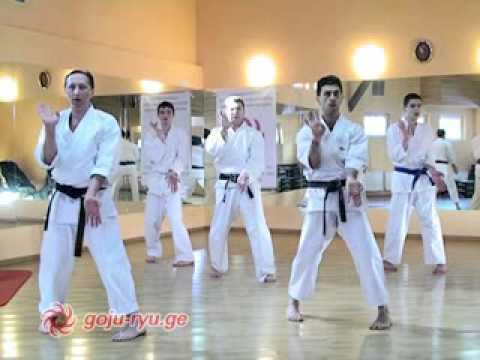 Gōjū-ryū (剛柔流), (Japanese for "hard-soft style") is one of the main traditional Okinawan styles of karate, featuring a combination of hard and soft techniques. Both principles, hard and soft, come from the famous martial arts book Bubishi (Chinese: wu bei ji), used by Okinawan masters during the 19th and 20th centuries. Go which means hard, refers to closed hand techniques or straight linear attacks;Ju which means soft, refers to open hand techniques and circular movements. Major emphasis is given to breathing correctly. Gōjū-ryū practices methods that include body strengthening and conditioning, its basic approach to fighting (distance, stickiness, power generation, etc. ), and partner drills. Gōjū-ryū incorporates both circular and linear movements into its curriculum. Gōjū-ryū combines hard striking attacks such as kicks and close hand punches with softer open hand circular techniques for attacking, blocking, and controlling the opponent, including locks, grappling, takedowns and throws. The late 19th century saw the great karate masters going back to China for a "martial-arts pilgrimage" of sorts. The development of Gōjū ryū goes back to Kanryo Higashionna, (1853–1916), a native of Naha, Okinawa. 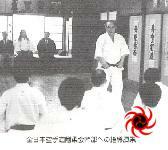 As a teenager he trained with an Okinawan master named Arakaki Seisho. In 1873 he traveled to Fuzhou in Fujian Province, China, where he studied from various teachers. 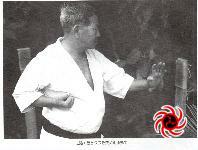 In 1877 he began to study under a kung fu master called Ryū Ryū Ko (or Liu Liu Ko, or To Ru Ko; the name is uncertain.) Tokashiki Iken has identified him (Patrick McCarthy has translated and cited Tokashiki in his work) as Xie Zhongxiang, founder of Whooping Crane Kung Fu. 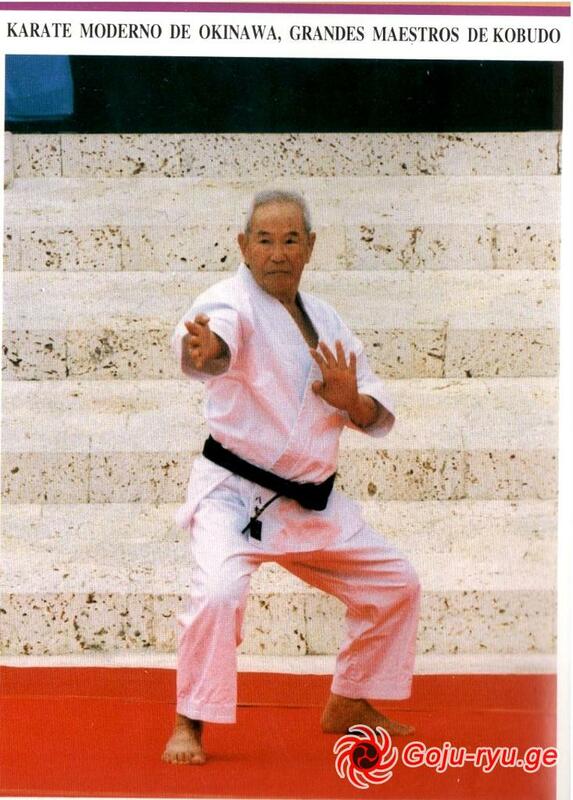 This great master taught a handful of Okinawan students who went on to become karate legends. Higashionna returned to Okinawa in 1882 and continued in the family business of selling firewood, while teaching a new school of martial arts, distinguished by its integration of gō-no(hard) and jū-no (soft) kempo into one system. Higashionna's style was known as Naha-te. 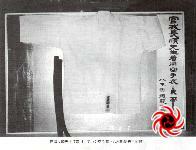 Gojukai history considers that Chinese Nanpa Shorin-ken was the strain of kung fu that influenced this style. 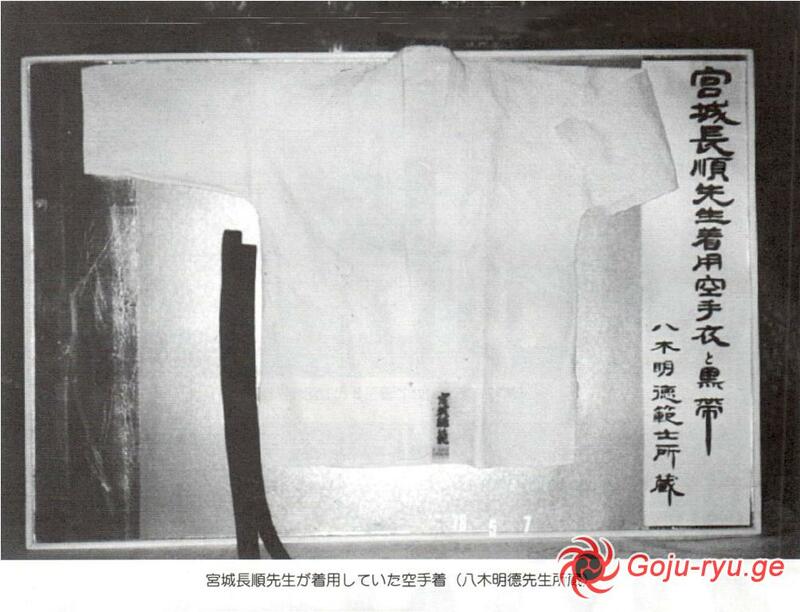 In 1933, Gōjū-ryū was the first Karate school officially recognized as budō in Japan by Dai Nippon Butoku Kai and the only style of Karate with a full historical representation in both Okinawa and Japan. 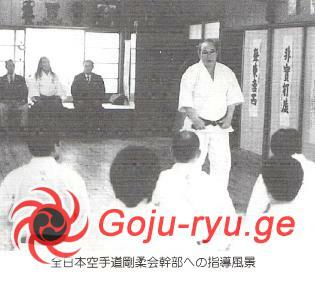 This recognition places Goju-ryu Karatedo among the modern martial arts, or gendai budō. 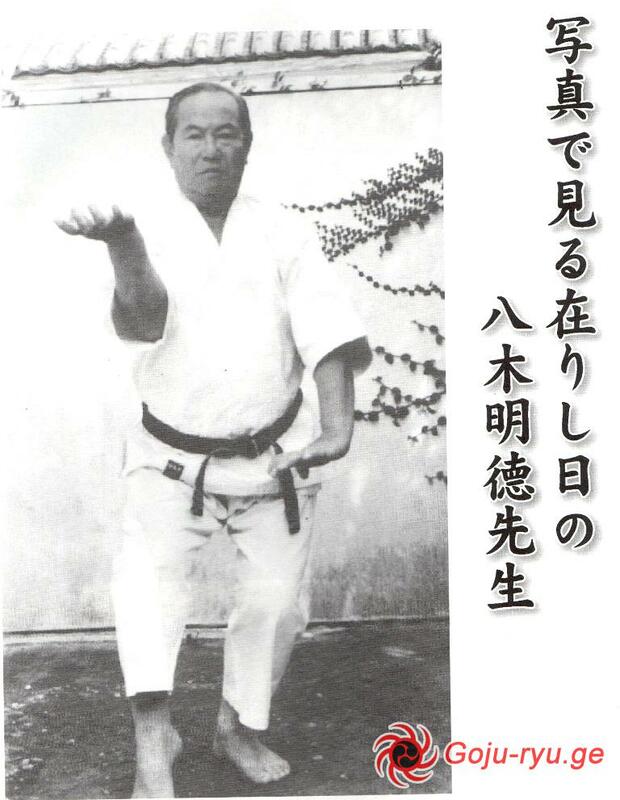 Higashionna's most prominent student was Chojun Miyagi (1888–1953) who began training under Higashionna at the age of 14. 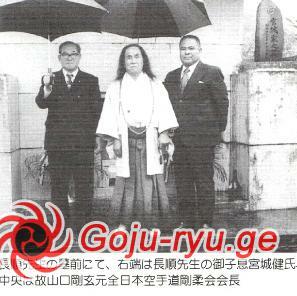 In 1915 Miyagi and a friend Gokenki went to Fuchou in search of Higashionna's teacher. They stayed for a year and studied under several masters but the old school was gone (Boxer Rebellion 1900). Shortly after their return, Higashionna died. 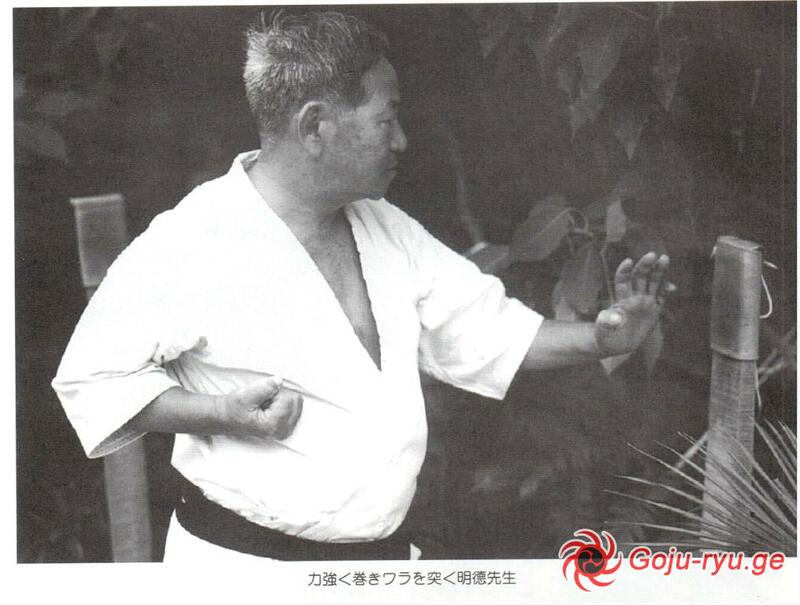 Many of Higashionna's students continued to train with him and he introduced a kata called Tensho which he had adapted from Rokkishu of Fujian White Crane. Higashionna's most senior student Juhatsu Kyoda formed a school he called Tōon-ryū (Tōon is another way of pronouncing the Chinese characters of Higashionna's name, so Tōon-ryū means "Higashionna's style"), preserving more of Higashionna's approach to Naha-te. 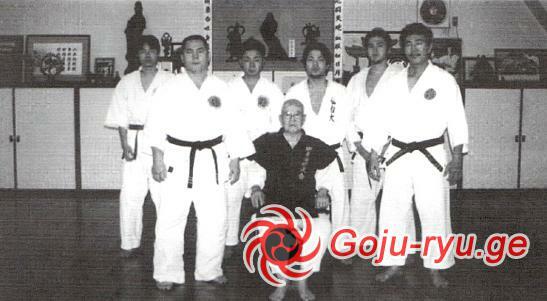 The name Goju-ryu Karate literally means "hard soft school of karate." 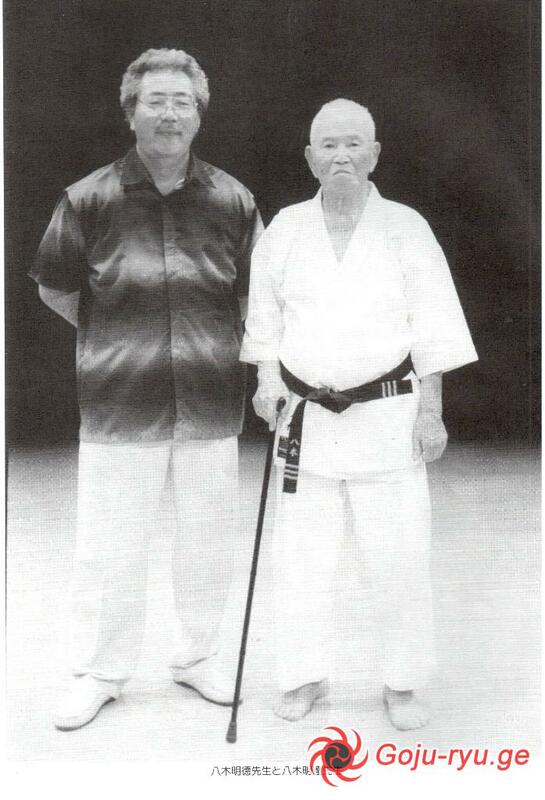 In 1930 at the All Japan Martial Arts Demonstration in Tokyo, one of the other demonstrators asked Chojun Miyagi’s top student, Jin’an Shinzato as to what school of martial arts he practiced. On his return to Okinawa he reported this incident to Chojun Miyagi, who decided on the name Gōjū-ryū as a name for his style. Chojun Miyagi took the name from a line of the poemHakku Kenpo, which roughly means: "The eight laws of the fist," and describes the eight precepts of the martial arts. This poem was part of the Bubishi, a classical Chinese text on martial arts and medicine. The line in the poem reads: Ho wa Gōjū wa Donto su "the way of inhaling and exhaling is hardness and softness," or "everything in the universe inhales soft and exhales hard." 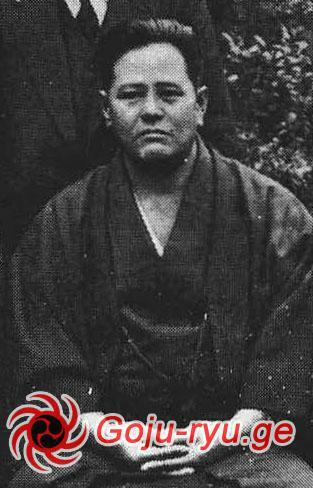 (1) Gōjū-Kai / Gogen Yamaguchi, founder; Goshi Yamaguchi. 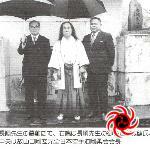 (2) IOGKF / Morio Higaonna, founder. 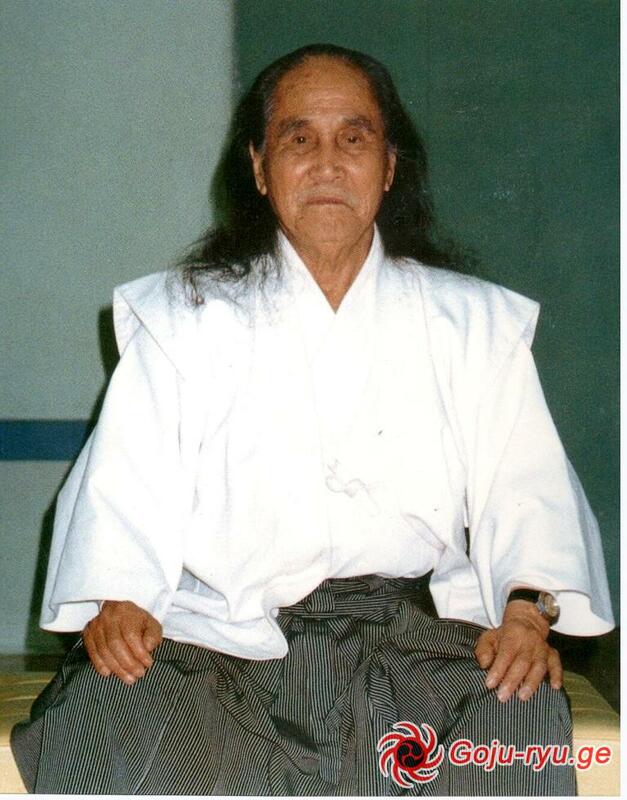 (5) Jundokan Okinawa / Ei'ichi Miyazato, founder; Tetsonuke Yasuda. 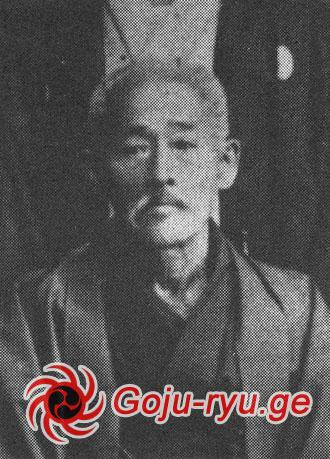 (8) Seito Gōjū-ryū / Kanki Izumikawa, founder. (9) Sengukan / Seiko Fukuchi and Kanki Izumikawa, founder. 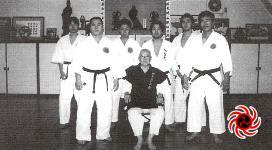 (10) Shobukan / Masanobu Shinjo, founder; Seiki Takushi and John Porta. (12) Shoreikan / Seikichi Toguchi, founder. (14) Meibukan / Meitoku Yagi, founder; Meitatsu Yagi.